Saves operating costs by reducing fuel consumption. Compares the performance of drivers and of different vehicle brands. The ranking of drivers based on their fuel consumption helps identify opportunities for fuel savings improvement. By analysing their driving style, recommendations can help them do their job more efficiently. This includes alerts for sudden braking, sudden accelerations, high RPM, excessive idling and excessive speeds. It is also possible to incorporate information on the routes that the vehicles follow into the system. 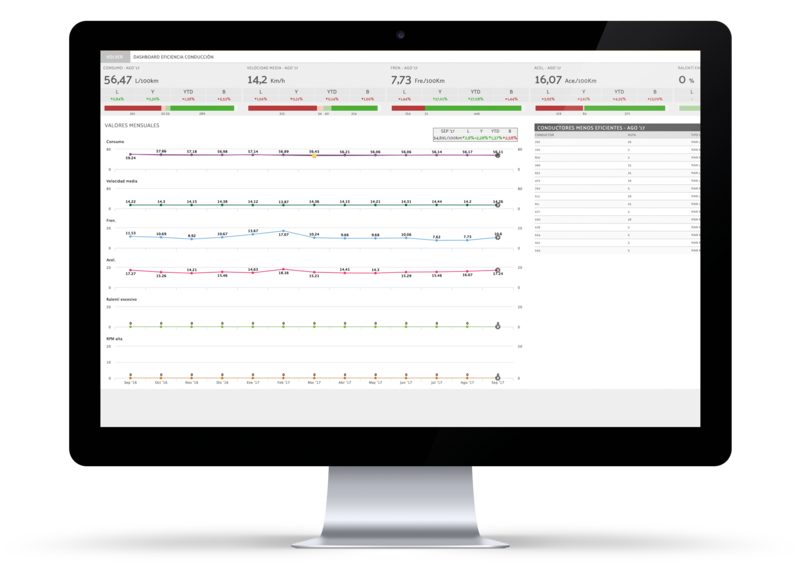 This means that iPanel - Eco Driving's advanced analytics can compare drivers on the same routes using the same vehicle models. Objectivity in calculating drivers' rankings helps identify drivers with the greatest savings potential. 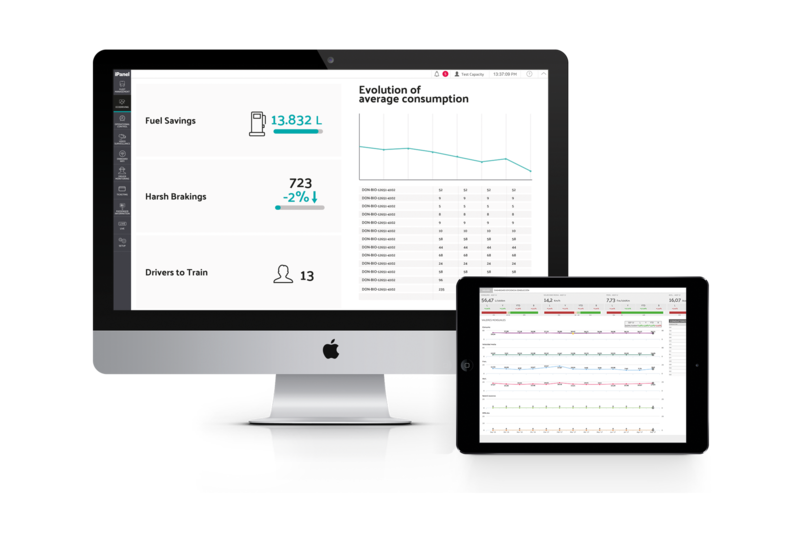 Objective comparisons in fuel consumption analysis facilitate work when sending improvement points to drivers. The paradigm changes when, instead of looking at what vehicles consume, the focus is on the company's savings potential. How much would you save if the routes with lower than average performance had the same consumption as the average for that route? This is what the Ecodriving service does: calculate the litres of fuel that the drivers would save if they had driven on the average routes. With clustering techniques it groups drivers with the greatest potential for savings. Pareto was right, 20% of drivers generate 80% of the savings potential. The data obtained from the routes can be used to set targets per route with a balance between requirement and attainability. This system informs the driver of the target to be reached on each route, notifying him when he is driving inefficiently, e.g. sudden braking, sudden acceleration, high RPM, excessive idling or excessive speed. Setting fuel consumption targets per route. Meeting real-time fuel consumption objectives per route. Information to the driver on compliance with the objective. Automatic calculation of Savings Potential: How many litres would be saved if drivers drove at the average? Comparison of the performance of different vehicle makes and models. Ranking of drivers based on fuel use and driving style.